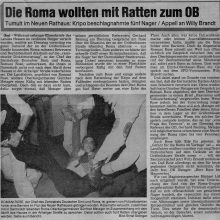 A few Roma families from Yugoslavia had been living in Darmstadt since 1980. In January 1982 an explosive device was detonated outside one of their houses. The mood of racism within the population intensified even more in the wake of the attack. 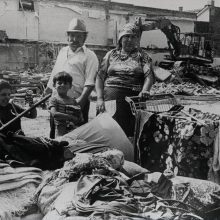 In a lightning-fast operation in August 1983, the mayor of Darmstadt, Günther Metzger, ordered that the house in which four of the Roma families had been living be razed to the ground, later justifying its demolition by claiming an alleged ‘risk of epidemic’. 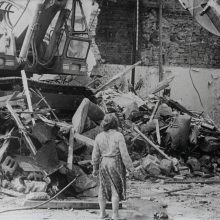 On their return from holiday the families concerned had to rake through the rubble of the building for the remains of their furniture, their copper workshop, and even their photographs of family members murdered by the fascist Ustaša militia. The Central Council condemned the demolition as the ‘worst example of racism since 1945’. The ‘Darmstädter Echo’ daily newspaper spoke of an ‘act of contempt for mankind’. 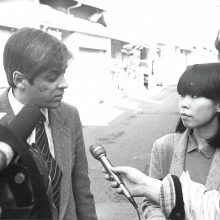 An injunction sought by Günther Metzger, the mayor of Darmstadt, against this accusation of racism was rejected by the Frankfurt Higher Regional Court in 1985. 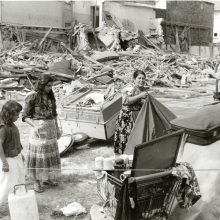 The Central Council of German Sinti and Roma rallied representatives of national and international organisations to Darmstadt to document the demolition of the dwelling and to stand up for safeguarding the human rights of the Roma. 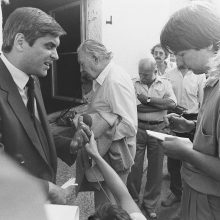 In September 1983 fifteen members of the minority tried to get the mayor Günther Metzger to agree to a meeting and to highlight the inadequate living conditions of the Roma in the wake of the demolition of the building. But the families concerned were expelled from the Federal Republic of Germany in 1984. After protests by numerous supporters and the intervention of Willy Brandt himself, two of the families found a new place to live in Nuremberg; other families were relocated to Cologne; and others still sought to find a new home in Italy or France.